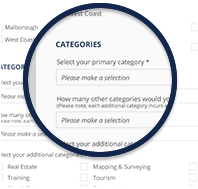 The Marketplace directory here on airshare.co.nz is the place your business needs to appear to be found by your potential customers. 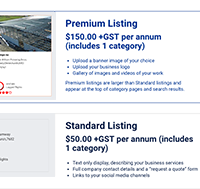 You can add searchable content, information, video and images to your business listing across multiple categories, and your customers can easily review you right on your listing. It's easy to list! 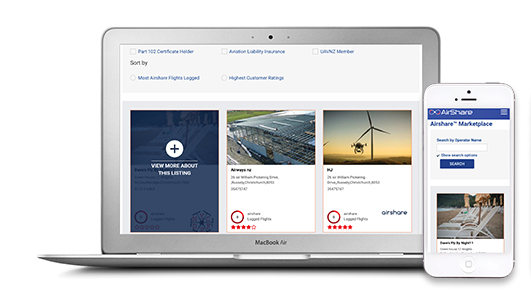 Just complete the online AirShare registration process and maintain your listing with the same login you use to log your flights. 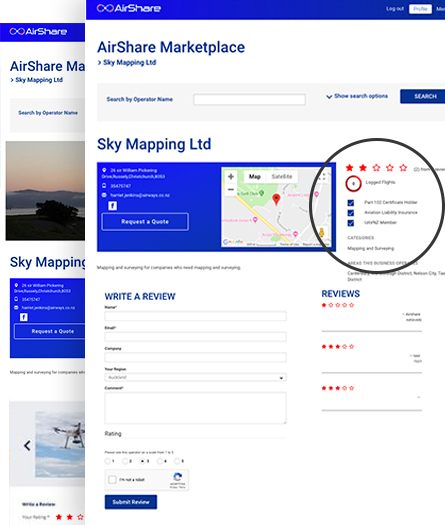 If you are not already registered on AirShare, do that step first, then carry on to set up your Marketplace listing. 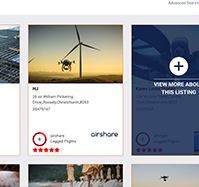 If you are looking for a commercial drone operator, then the Marketplace is the perfect place for you to start. 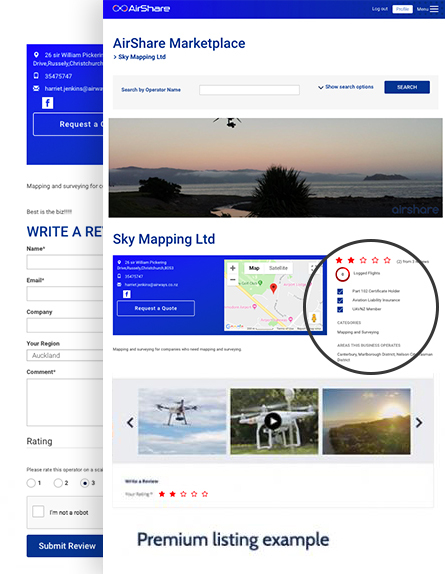 You can search by locations around New Zealand, types of specialist expertise and you can see how many flights each operator has logged through the AirShare site. How does the Marketplace work? 750,000 user sessions on the site since it launched in July 2014. 80,000 new users spending an average of 3 minutes on the site per visit. Average of 11,500 visits per month to the site.